Hi there, my darlings! Ah the irony of life! This post is all about irony....and coconut oil! Almost every Indian child while growing up was lectured on the benefits of coconut oil--countless mothers, grandmothers and aunts expounded the virtues of good coconut oil for the skin and especially the hair while countless teenagers rolled their eyes and faked allergies. I was no different but as I get older, I've resigned myself to one thing--mother is always right. 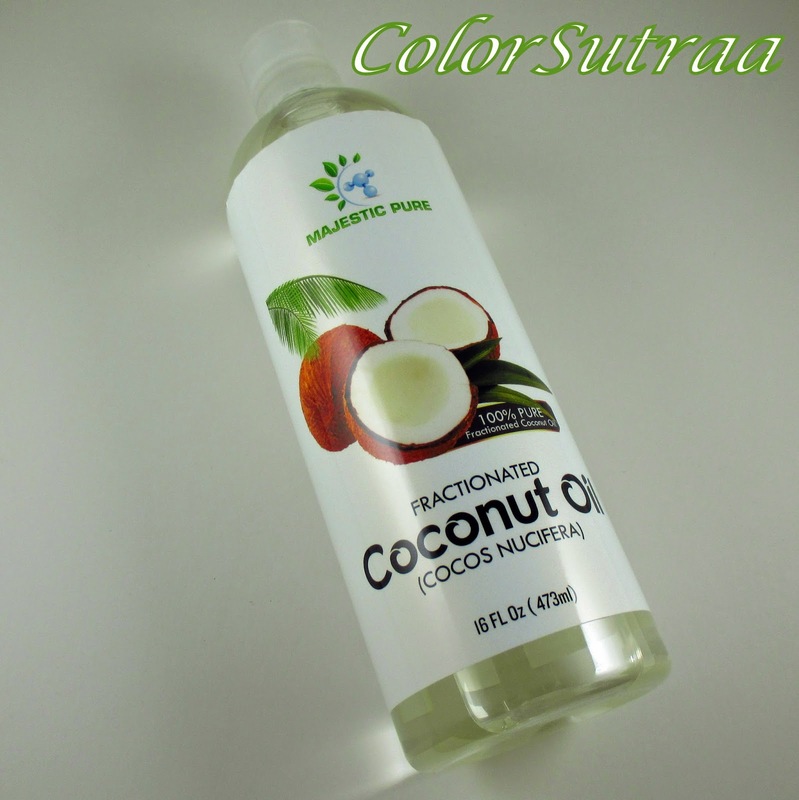 And that brings us to today's review--Majestic Pure Fractionated Coconut Oil. Incredible Multi-Purpose Carrier Oil Product On The Market! USES AND IMPRESSIONS : While I still haven't worked up the nerve to use this product in my hair (something about anything other than a dry oil on my scalp bothers me! ), I absolutely LOVE how wonderful it feels on my skin during these brutal winter months. I usually warm it up for a few seconds in the microwave and apply it all over just BEFORE a shower. Then, when I come out of the shower, my skin feels wonderfully moisturized and soft, without any of the greasy feeling. Especially great if you have very dry, sensitive skin! So there you have it, my darlings! If you would like to pick up Majestic Pure's Fractionated Coconut Oil, you can find it on Amazon HERE for the price of $14.95 for a full-size, 16 fl oz bottle. What is the one go-to product YOUR mother staunchly believed in? Did you use it? Tell me in the comments below!